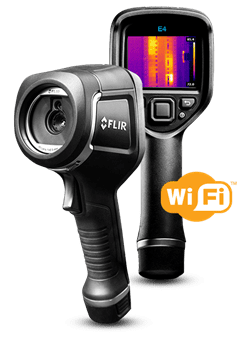 Troubleshoot hotspots, find hidden faults, and confirm repairs quickly with the ergonomic, high-resolution FLIR T540. 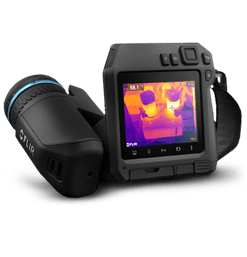 This 161,472 (464 _ 348) pixel thermal imaging camera has a bright 4″ LCD and a 180? rotating lens platform, so you can easily and comfortably diagnose electrical or mechanical issues, even in hard-to-reach areas. 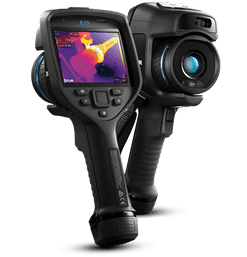 Advanced on-camera measurement tools such as 1-Touch Level/Span, plus laser-assisted autofocus, ensure you?ll record accurate temperature measurements every time.